Pros: A persistent, creeping sense of dread crawls beneath this tale of love, hope, and lies set in the early twentieth century. Cons: It could use a snip of the editing scissors. Well worth watching for the performances of Barnes and Perry, and for its smacker of an ending. 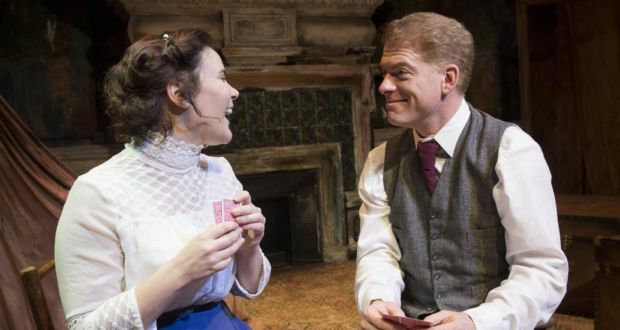 Set in 1910, Tabard Theatre’s Tryst tells the story of George Love, a dapper gentleman of means, and Adelaide Pinchin, a hardworking shop girl. After a chance encounter blossoms into love over lunch, both characters have their hearts set on a quick marriage. What George hasn’t told Adelaide is that he’s a serial bigamist, and what he truly has eyes for is not her but the £50 she has put by to open her own millinery. The interesting thing is not the surprise revelation of ulterior motives, but the fluctuating dynamic of the fragile relationship, the quiet battle of wits and sensibilities, challenges to perceptions, and the growth of Adelaide’s suspicions about her Mr Love. Natasha J Barnes and Fred Perry are both ideally cast. Barnes has the manners and cherubic face of a humble yet feisty young woman in a world in which women did not have many options open to them. Perry has the uncomplicated good looks of an American comic book hero. 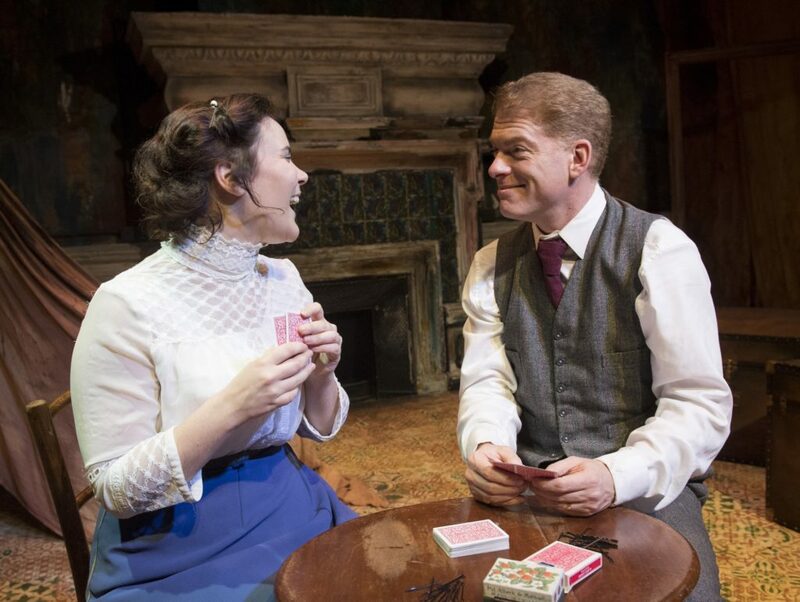 The duo is onstage for an unbroken 90 minutes, and they are wonderful together; emotive, and with excellent comic timing – the play had quite a few laugh-out-loud lines. Whilst initially confused as to why the play was set in 1910, I was not aware it was based on real events in the period, and my suggestion to those going to see Tryst would be to not look anything up beforehand so as to avoid spoiling the ending and allow yourself a thoroughly engaging watch. The play events follow a gripping will-they-won’t-they trend, though not the one you might expect. It was precisely this trend that grew wearisome as the play progressed to its climax. There are many reasons to recommend Tryst, but the couple’s conversations became repetitive, causing the tension to sag and exasperation to set in as they kept circling the proverbial plughole. An edit of the text would produce a stronger play; indecision is only gripping for so long. Well worth going to see, and not least because it’s in the delightful and newly refurbished Tabard Theatre in Chiswick.